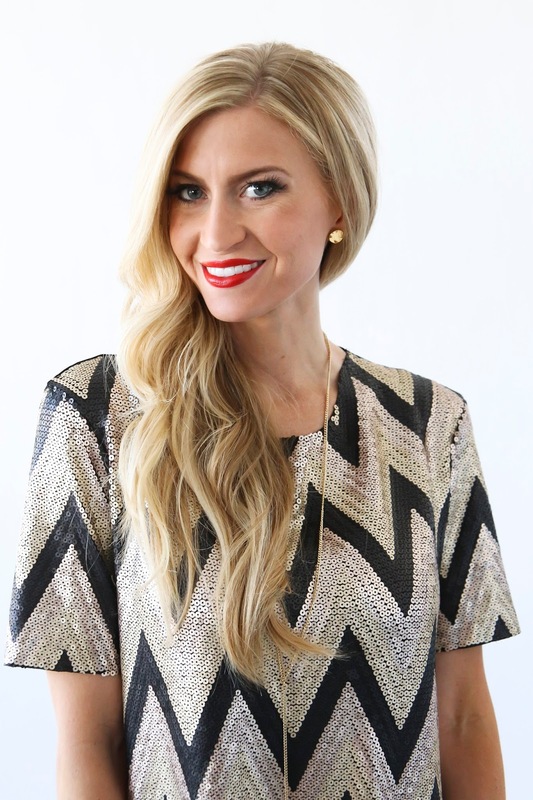 This side braid adds a little glamour and complexity to simple loose waves. I love pairing it with pretty statement earrings, because it pulls the hair out of the way to show off the earrings. Start with fairly dirty hair and curl the ends of the hair. 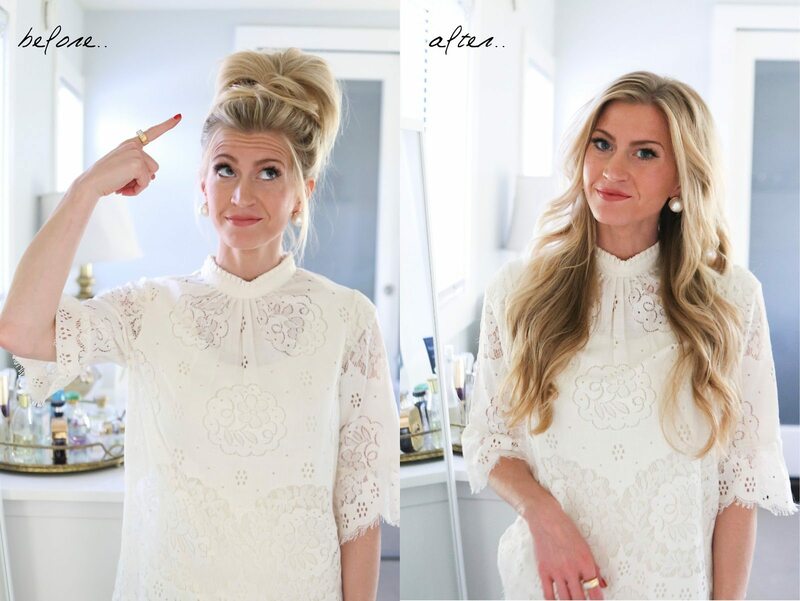 Part hair on the left side of the head, and tease the left side of the hair to add volume. Spray with dry shampoo or hair spray. 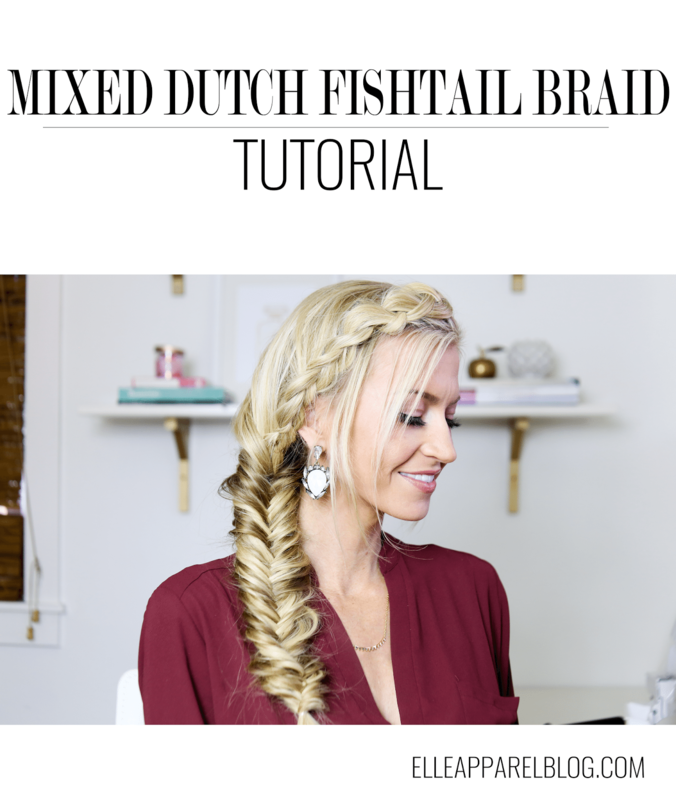 Take a small section of hair on the left side near the part and form a tight dutch braid, only adding sections to the braid with the hair on the side closest to your face. Stop the braid when you reach the top of your ear, and pancake the braid (pull out each section a bit to make the braid fuller). Continue braiding for another 2 inches, but don’t add hair to the braid. Secure with an invisible elastic behind your ear. Add sections of additional hair not in the braid when you secure it, to keep the braid in place. This look is simple, but the styling keeps it elegant. It works best with 2-3 day old curls. Spray roots with dry shampoo to add a bit of volume. Curl the ends of your hair starting from your cheekbone down in loose waves that curl away from your face. Part your hair on the far left. Put the hair on your left side behind your ear and sweep all the hair off your left shoulder and onto your right shoulder. Spray in place with hairspray. I have these heels in blush and they are the most flattering heels I own! This perfume is one of my favorites in a light floral scent that lasts all day. This coat was just restocked and at literally makes me drool. I love it so much. And how amazing is this sequin dress? The beading is super intricate and it is impeccably cut. The emerald earrings and ring are the right pop of color to the look, and the clutch stands out with the graphic modern design. I hope you all have a fantastic New Years! Thank you so much for reading!